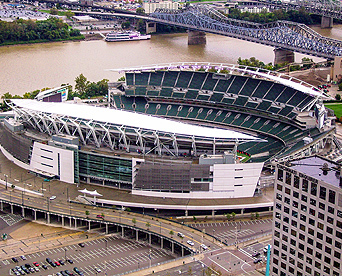 The Stadiums Learning Academy focuses on architectural and design innovations for stadiums as well as other sports facilities in the United States and abroad—everything from indoor pools and baseball fields to football, soccer, and Olympic arenas. It explores the use of a variety of materials and strategies to meet the challenges inherent to creating large, fan-friendly venues while still meeting cost, time, and regulatory constraints. The academy provides an array of learning opportunities, including several courses featuring more than a dozen Architectural Record Building Type Study articles addressing the stadiums market; an editorial CEU from the magazine featuring projects with large-scale kinetic elements, including retractable roofs, which have long been a feature of stadia and ballparks for professional athletic teams; one special-focus multimedia CEU examining the use of antireflective glass for stadium applications; a course that takes an in-depth view of sustainability goals in stadia design; and an interactive webinar bringing together stadium design experts from across the country to discuss three recent high-profile projects. Earn 9 AIA LU (2 AIA LU/HSW + 7 AIA LU).